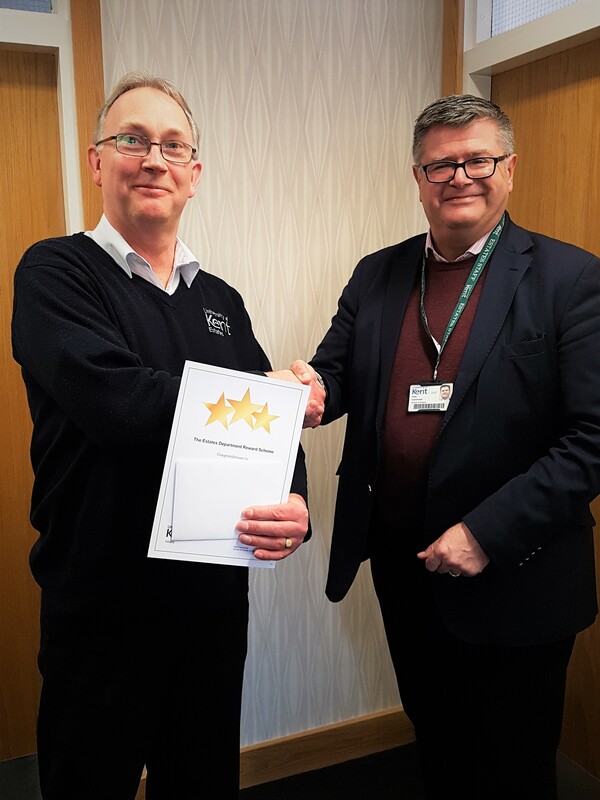 Jackie Fotheringham, Business Relationship Officer in Kent Innovation and Enterprise, has expressed her appreciation for the assistance and knowledge provided by Chris, when sending a high volume of training materials to the US recently. Jackie said, "Chris removed a lot of the stress for me". In awarding the Customer Services Award the Senior Management Team, acknowledge the impact made to both the Estates Department and the University.